Born and raised at 6,000 feet above sea level in the Spanish Pyrenees, Jornet climbed an 11,000 foot mountain -- the highest mountain in the region -- at age 5. 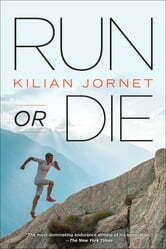 Now Jornet adores the mountains with the same ferocity with which he runs them. 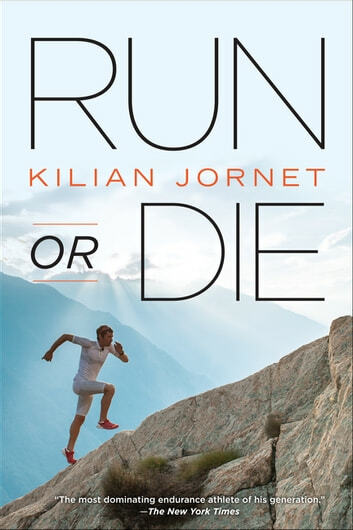 In Run or Die he shares his passion, inviting readers into a fascinating world rich with the beauty of rugged trails and mountain vistas, the pulse-pounding drama of racing, and an intense love for sport and the landscapes that surround him. In his book, Jornet describes his record-breaking runs at Lake Tahoe, Western States 100, Ultra-Trail du Mont-Blanc, and Mount Kilimanjaro--the first of his ambitious Summits of My Life project in which Jornet will attempt to break records climbing the highest peaks on each continent. In turns inspiring, insightful, candid, and deeply personal, this is a book written from the heart of the world's greatest endurance runner, for whom life presents one simple choice: Run. Or die.